Sony Creative Software inspires artistic expression with its award-winning line of products for digital video, audio, and music production, as well as industry-leading technology for DVD production and Blu-ray Disc™ authoring. Sound Forge™ Pro, ACID™ Pro, and Vegas™ Pro software have defined digital content creation for a generation of creative professionals. These signature product lines continue to advance media production by providing powerful, accessible tools. Today, there is a Sony Creative Software application for every level of expertise, including a full line of consumer software based on the company's professional applications. In addition, Sony Creative Software produces the extensive Sony® Sound Series collection of royalty-free loops and samples, Sony Pictures Sound Effects Series exclusive sound effects, and Vision Series video creation assets. Further, the company provides the industry-leading tools for enterprise-level Blu-ray Disc™ authoring: Blu-code™ encoder, Blu-print® software, and on-Q Create® for Blu-ray Java. The company’s customers span the globe and include professionals in the film, television, video game, and recording industries, as well as students, educators, and hobbyists. Vegas™ Pro 13 is a contemporary NLE designed for complete creative control. The new edition brings major enhancements to the table, including new editing features, advanced archival tools, sophisticated audio metering, and Vegas Pro Connect—the mobile iPad® app which provides an efficient and powerful collaborative review process for clients and team members. 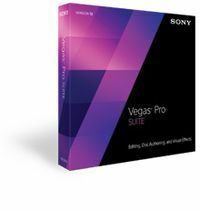 Vegas Pro 13 delivers an unparalleled toolset for content creation and delivery and comes complete with DVD Architect™ Pro 6, Dolby® Digital Professional Encoder, and plug-in collections from FXHOME, NewBlueFX, and iZotope®. Superior performance and intuitive workflow means spending less time thinking about editing and more time actually doing it. Sony Academic Volume licenses are the ideal creative software solution for all Schools, Academies, Colleges and Higher Education Institutions. Sony's new price tiered licensing program ensures customers receive bigger discounts the more licenses they buy. 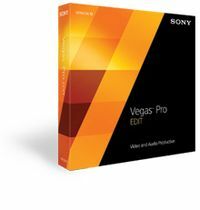 Vegas™ Pro 13 Edit delivers pure Vegas Pro core technology in a cost-effective package. New features include advanced archival tools, new audio metering options, and full synchronization with the Vegas Pro Connect mobile iPad companion app. Vegas Pro 13 Edit offers more formats, more workflows, and more creative control than ever before. Vegas™ Pro 13 Suite is maximized for advanced video and audio editing, deep visual effects processing, total workflow customization, and disc authoring. 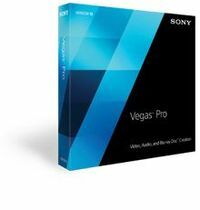 Featuring the Vegas Pro 13 core application and a host of applications from Sony and its key partners, this premier edition of Vegas Pro 13 delivers the works and makes it easier than ever to bring your creative visions to life.